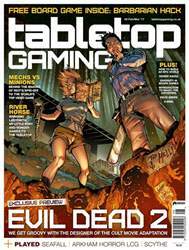 On an industrial estate in Nottingham, hidden away behind multiple flights of stairs and a winding maze of corridors, in a room no bigger than a bathroom, a British games publisher is busy working on board game adaptations of some of Hollywood's biggest hits. It isn’t River Horse founder Alessio Cavatore’s first brush with the silver screen. For more than a decade, he contributed to Games Workshop’s Warhammer, Warhammer 40,000 and Lord of the Rings miniature wargames – with the latter earning him an on-screen cameo during the climactic battle of Peter Jackson’s 2003 finale The Return of the King. You can also find him (alongside fellow designers Alan Perry, Michael Perry and Brian Nelson) dressed as a Rohirrim on the base of the miniature title’s War Mûmak of Harad model – albeit in a flatter, deader form. Cavatore started River Horse (the translated ancient Greek phrase for hippopotamus) as a ‘pet project’ in 2006, while he was still working at Games Workshop. Over the next four years, the company published just one title: Shuuro, a chess variant involving board obstacles and customisable armies. 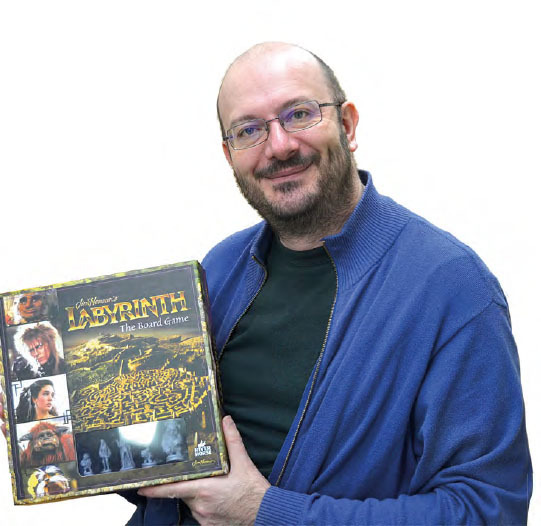 In 2010, after 15 years at the publisher, Cavatore’s relationship with Games Workshop came to an end. It's this choice to go it alone that Cavatore sees as the true realisation of River Horse.